New developments in biofortification suggest corn, broccoli and tomatoes could be leading the prevention of age degenerative diseases in the developed world. 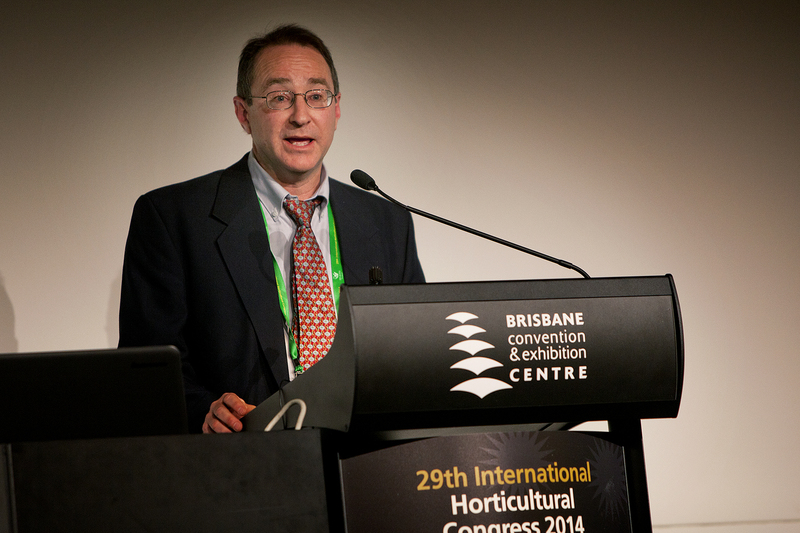 Speaking at the International Horticultural Congress in Brisbane last week, UQ plant physiologist, Dr Tim O’Hare said selective breeding to enhance the nutritional value of sweet corn could help prevent the leading cause of blindness, macular degeneration. “You can go along to an optometrist and actually get that measured,” Dr O’Hare said. Research shows that the zeaxanthin pigment in corn, once consumed, accumulates in the macular, absorbing dangerous wavelengths called blue light – the cause of AMD. Not only can AMD be slowed down by corn, biofortified broccoli could help prevent cancer and higher lycopene levels in tomatoes have been tested as a preventative to prostate cancer. Dr O’Hare says that although there is a consumer desire to take supplementary pills, the shift in nutritional perceptions shows people want more natural means of avoiding health problems. “There is increasing evidence that some of these whole fruit and vegetables are actually more effective than pills,” he said. But some consumers are concerned that changing the nutritional value of food is a step towards genetic engineering, but Dr O’Hare says that is not the case. “You could accomplish it through genetic engineering, although we find the diversity of the germplasm is sufficient enough to achieve quite significant increases without having to go down the GMO track,” he said. If consumers support the development and funding of biofortification, these futuristic foods could see themselves on shelves for public consumption.